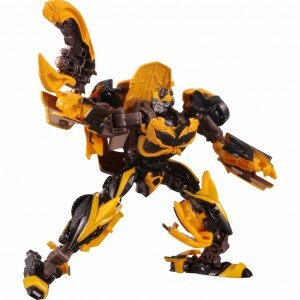 In Depth Review of Takara Movie The Best Series EX Bumblebee. Youtuber TonTon Review has been at it again folks, and thanks to Seibertron member What's Crackin'?, we have been directed to TonTon Review's latest helping which is none other than Transformer Movie The Best EX Bumblebee. Sporting a paler yellow than the previous release, the review also highlights the removal of the light piping on the head and also compares the figure with its previous 2014 release and Studio Series #02 Stinger. We have embedded the video below, but it can be found on TonTon Review's Youtube. Have the small differences in this release got you to bite yet; is it simply not enough of a change or did you miss the figure last time around? Let us know here on the Energon Pub at Seibertron.com! Credit(s): TonTon Review, What's Crackin'? Don't understand the hate for this mold, it's not bad and I find it pretty fun. I like the adjusted colors and new weapon though, looks neat! D-Maximal_Primal wrote: Don't understand the hate for this mold, it's not bad and I find it pretty fun. I think it's more "this mold again?!". It overstayed its welcome with TLK Wave 1. Not to sure what to think about it personally as I don't have it, and don't know which version to optionally go for. Ah, I had forgot it's reuse in Wave 1 of TLK. I can understand now. 4,050 pages were recently viewed by 919 unique visitors. This page was viewed 1 times on Friday, April 19th 2019 3:19pm CDT. © 2019 Seibertron, Inc. DBA Seibertron.com. All Rights Reserved. Established June 2000. Seibertron.com is owned by Ryan Yzquierdo.